The 55 TFSI version is massively quick. 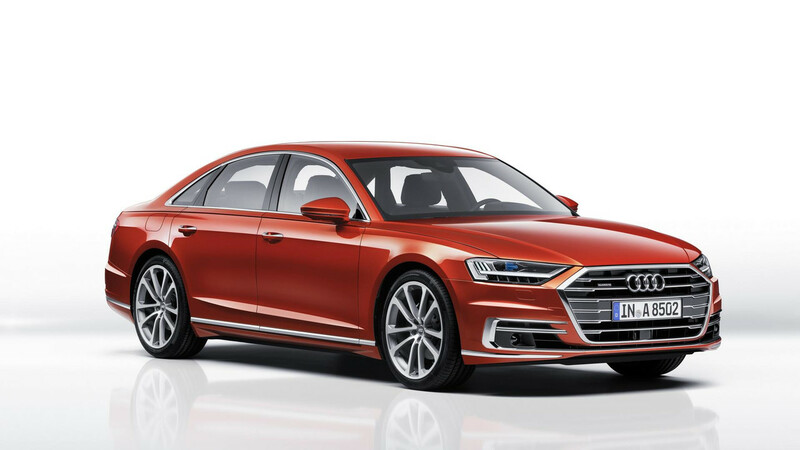 If you are not familiar with Audi’s new naming scheme, the A8 55 TFSI designation probably sounds a bit weird to you. Here’s the secret – the German manufacturer is now adding two numbers to the back of the vehicle’s name, giving more details about its engine. In this case, the “55” signifies the car has an output of between 328 horsepower and 368 hp (245 kilowatts and 275 kW). 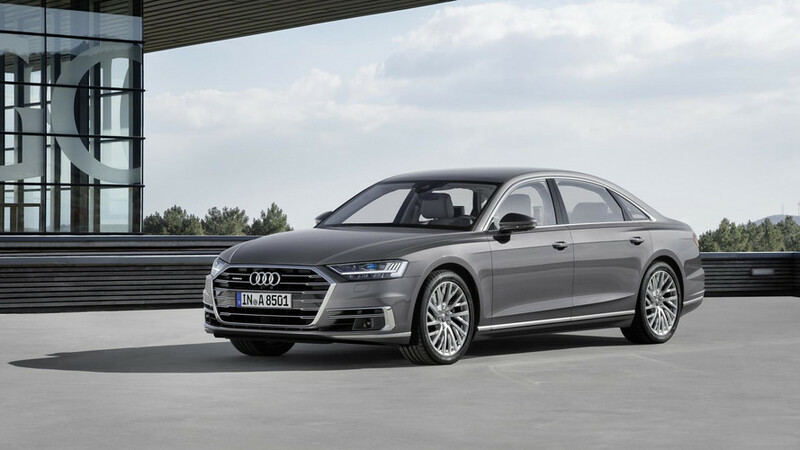 More precisely, the new A8 55 TFSI has a 3.0-liter V6 gasoline turbo motor, which generates 340 hp (250 kW) from 5,000 rpm and a maximum torque of 369 pound-feet (500 Newton-meters) attainable from 4,500 rpm. The power is channeled to all four wheels through an eight-speed automatic gearbox and Audi’s Quattro AWD system. It’s the entry-level gas engine for the German luxury limousine, which is positioned below the 4.0 TFSI with 460 hp (343 kW) and the flagship Bentley Bentayga-sourced 6.0 TFSI with 12 cylinders. 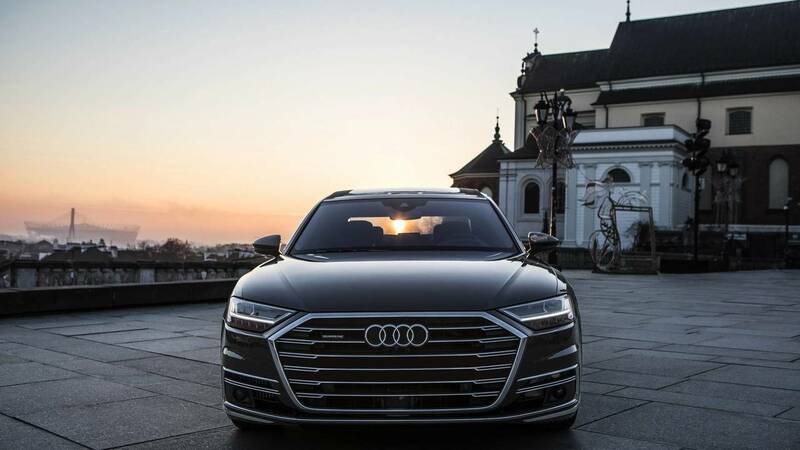 Cheapest 2019 Audi A8 Money Can Buy Costs $83,800 In The U.S.
A new video from YouTube channel Automann gives us a close look at the base gasoline-powered A8 and its acceleration capabilities. Despite its total weight of 4,398 pounds (1,995 kilograms), the tech-heavy sedan needs only 5.6 seconds to reach 62 miles per hour (100 kilometers per hour) from a standstill. Top speed is electronically limited at 155 mph (250 kph). The other base option for the model is the 3.0-liter V6 diesel, which is a tad heavier at 2,050 kg (4,519 lbs), but is almost equally quick with 5.9 seconds for the 0-62 mph (0-100 kph) sprint, mostly thanks to its massive torque of 442 lb-ft (600 Nm) from a low 1,250 rpm. We are eager to find out how quick the W12-powered range-topper of the A8 series is, so we are looking forward to see an acceleration video of that model. There’s also a rumors for an S8 version, which might be even more capable than the 12-cylinder variant.